Our contemporary worship gathering is at 11:00 am on Sundays. We sing current praise & worship songs as well as current arrangements of great hymns of the faith. 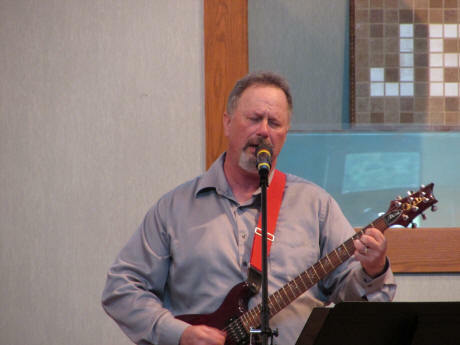 We are led by our praise band and Pastor Kevin delivers the Word of God in relevant exciting ways. It is our goal to create an atmosphere conducive to worshiping the living God.